Captain Jed Sabo is a U.S. Coast Guard licensed charter captain and an Ohio licensed fishing guide. 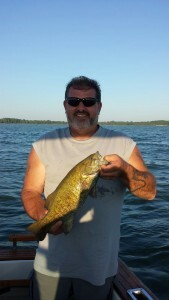 With over 40 years of experience on Lake Erie he makes it his personal goal that you have the best day possible. 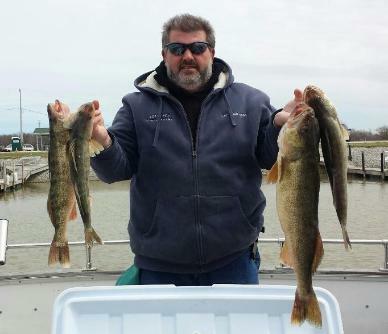 Captain Jed fishes the Vermilion Area on Lake Erie. 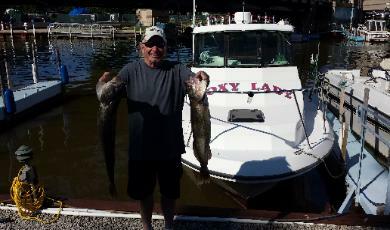 Captain & First Mate Greg Moore brings another 40 years of experience to the "Foxy Lady" Crew. Smallmouth caught while Walleye Fishing.